Where Does Paying Off Debt Fit Into Your Holiday Budget? The average person will spend $463 on gifts for family members this holiday season, according to the National Retail Federation. Between presents, decorations, food and travel expenses, your money gets pulled in more directions than Santa’s sleigh on Christmas Eve. If you wonder where extra payments on your debt fit into this festive season, here’s a quick four-step guide that shows you how to handle it. 1. Make your budget. Put your budget together and tell your income what to do. Decide how much money to apply to your smallest debt. If you have a $200 credit card payment and you want to kick in another $100, then set $300 aside. After that, put any extra money toward Christmas. 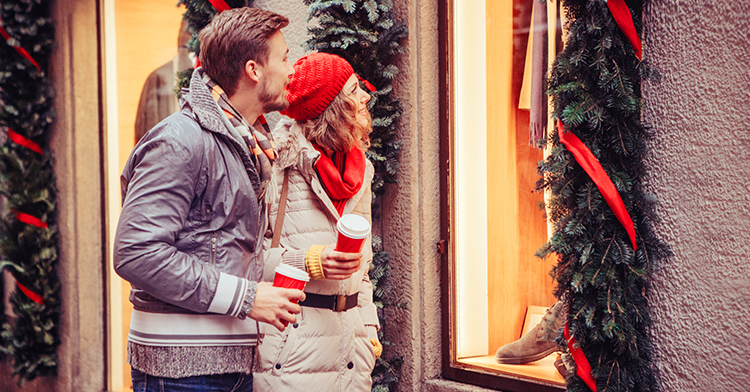 Simply having a plan helps you attack your debt while enjoying the holidays. 2. Stick to the plan. Don’t get distracted from your budget, no matter how many Black Friday deals or shopping catalogs you see. You may feel tempted to dip into your “extra debt payoff” money to buy a gift, but stick to your shopping budget! Remember, those super offers will be back next Christmas, if not sooner. Get rid of your debt so you can be ready for them! 3. Pay your extra early. Some people wait until the month’s end to pay extra on their debt. Instead, try making that big payment halfway through the month. The quicker you use the money to pay down your debt, the less likely you’ll be tempted to purchase something else with it—like an inflatable snowman for your front yard. 4. Earn a little more. Work at a retail store, offer to do the gift shopping or gift wrapping for your friends (for pay), babysit for couples who are going to Christmas parties, shovel snow off driveways, and more. The list of potential extra jobs is longer than Santa’s naughty-or-nice list. Split the excess money between debt and holiday plans however you like. After all, it’s extra! By making a budget and telling your money where to go, you can enjoy the holidays and keep up progress on reducing your debt. The key is to balance those two things. Make a plan for both, and you’ll have extra cheer for the holidays!